Crisis communications and crisis management are terms often used in the corporate world but rarely understood. In the era of social media, crisis is compounded by the entry of a loud and often powerful player, the public. “We have a problem” is the first book written in Asia about contemporary corporate crisis. The title is as much a declaration of crisis as the book is a collective wisdom of solutions to unfortunate yet common events that happen to big and small businesses. 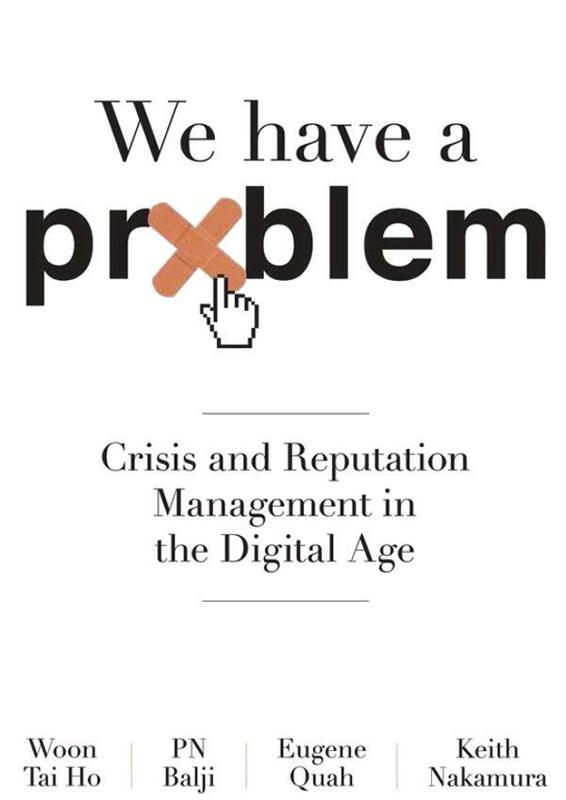 The book uses five local and five foreign case studies to illustrate crisis communications and management at its worst and at its best. Creator of Today newspaper PN Balji, founder of Channel NewsAsia Woon Tai Ho, social media guru Keith Nakamura, and litigation lawyer Eugene Quah reveal the most important secrets and strategies used to rescue companies in crisis, and discuss the opportunities lost by those who did not understand the value of speed and sincerity in this digital age. Why is deleting a crisis post on social media a bad idea? Why is it important to empower every member of your staff to prepare for crisis? This team of writers know how to win, not just in the court of law, but also in the court of public opinion. Learn why it is prudent to get your holding statements endorsed by your legal team before a crisis happens. And what emergency action you must take when netizens snap compromising photographs of your backend production, whether it is repacking soya bean milk and labelling as “freshly prepared” or naming buns after a recently deceased head of state. And then, how do you say sorry in action, not in words? A tale of two Tonys, the CEO of AirAsia and the CEO of BP: how was Tony Fernandes a leader, and why was Tony Hayward not. “We have a problem” is the protection you need for your business reputation in this digital age. Skilfully managing the perception of a crisis determines the difference between a company’s life and death, because in the pitched battle between perception and reality, perception always wins.